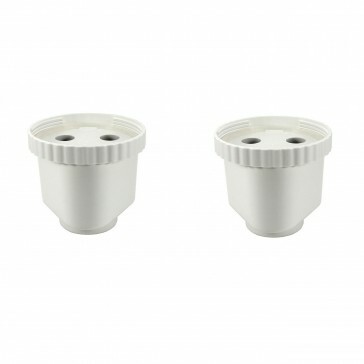 2 x Replacement Filters to fit the Regular Filter Jug. Instantly filters up to 99.99% of contaminants from water. 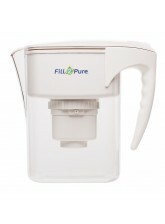 The jug filters for the pH Alkalising, RAD and Regular jugs are interchangable so you can buy any of our 3 Jug types and then try a different filter at a later date. The filter capacity is approximately 600 litres or approximately 200 refills. There is no need to count the litres, our filters will not expire, but the flow will go slower and slower when it is time to change the filter. We remove the same amount of contaminants at the end of the filter life as we do at the beginning. Size: Each Filter is 9cm high, 10cm diameter. Q: How much is it per litre? A: The cost per litre is $0.10. A: 600 litres, or approximately 200 refills. You can keep using the filter until it clogs and will no longer process water. Anything that comes through the filter is safe and pure. Q: How fast does it take to fill the jug with filtered water? A: Usually about 6 - 10 minutes. However, if the water source you are using is particularly turbid or contaminated it may take longer. A: No, to desalinate you would need a desalination machine or distiller, both of which are very expensive options.